How cute are these sweet little treats? 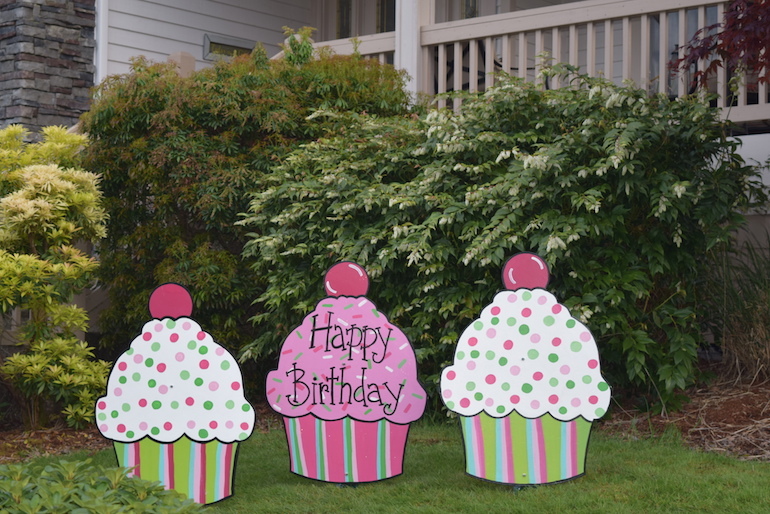 Includes three 36″ custom painted cupcake signs. The middle one says Happy Birthday. Adorable for little girl’s birthday parties, and can also be used for older girl’s special occasions too. 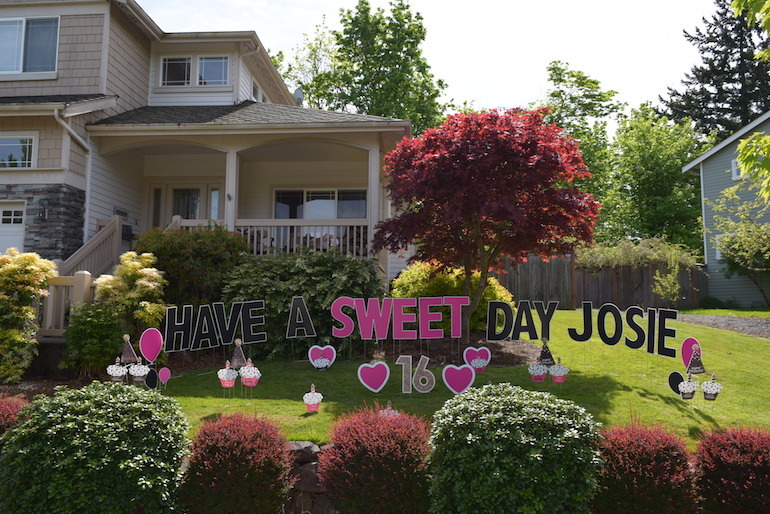 They can be mixed and matched with other yard signs for a small additional charge. 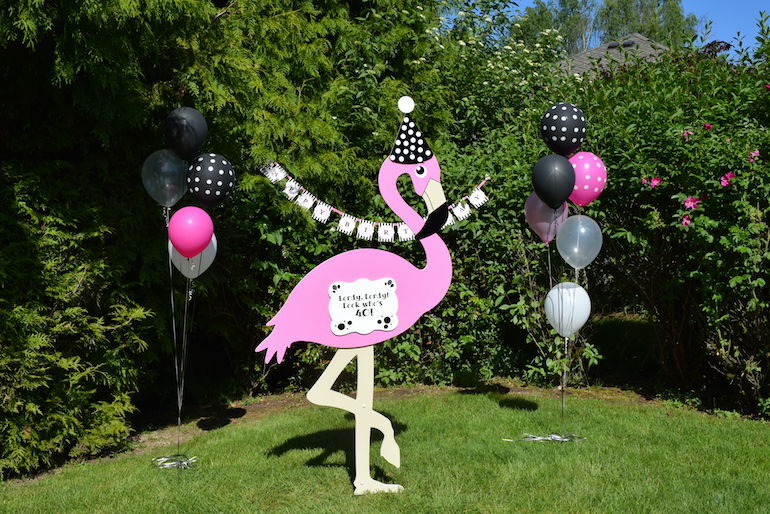 These can be used indoors as party decorations or outside in the yard as a special surprise that the birthday girl will never forget! Additional days can be added at $25 per day. Can be used for an indoor or outdoor display.